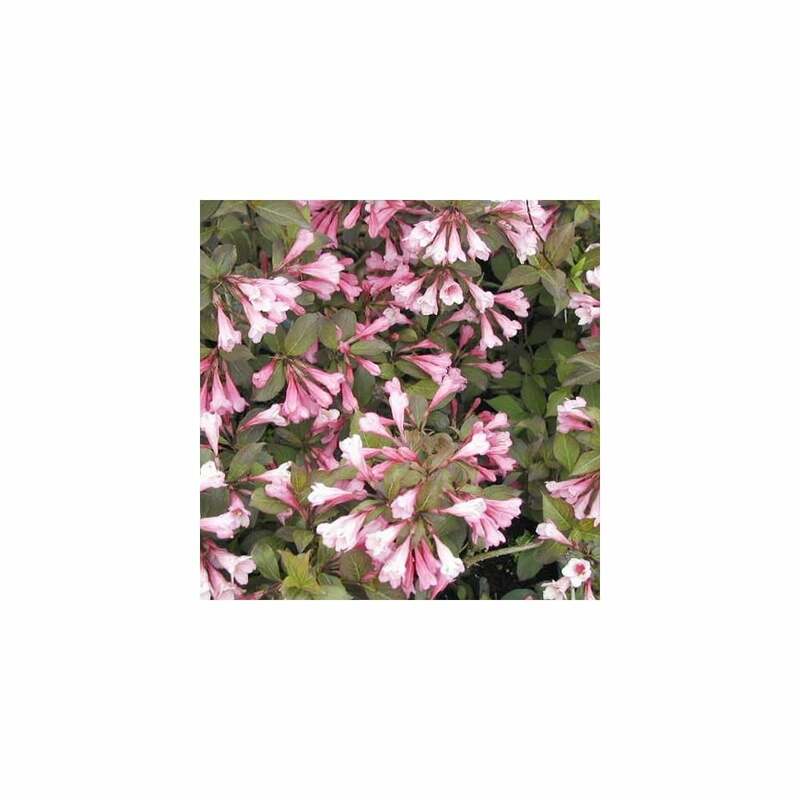 Weigela is a perfect candidate when it comes to hardy, carefree and low maintenance border shrubs. This is an excellent deciduous shrub with upright, round and compact growing habit, making it a bush that will glow the dull areas in your garden. Foliis Purpurea is a variety of Weigela that grows small in height, perfect for low hedges and screening usage. This variety blooms exquisite pink and white flowers that attract hummingbirds! Foliis Purpurea blooms brilliant trumpet shaped flowers in pink and white colours. These blooms are enhanced on a bright sunny day, showing off in lusty colours and numbers. This is not just another average border shrub. Foliis Purpurea will brighten up your garden with its flowers in profusion from spring to summer. Its dark green ovate leaves provide a lively contrast making it an excellent flowering shrub. Foliis Purpurea will thrive in a moist soil that is well-drained. Their roots like cooler temperature, adding a layer of mulch to the base of the plant will do the job. Moderately water the shrub in summers. Once established, the plant will be able to cope with neglect and turn forgiving. Weigela shrubs perform their best in full sunlight, where their flowers are more joyful and energetic. Since the plant has great adaptability, it will do well even in partial shade. Prune them right after the flowering period. Foliis Purpurea is a perfect flowering shrub that demands low maintenance and care. Use them in groups for borders or as a single garden specimen plant. These plants make very attractive hedges that will attract attention all-round the summer.